Casual indie games are at the core of both Buildbox and Heyzap’s mission. Buildbox is democratizing mobile app development for dreamers and innovators around the world, while Heyzap makes it incredibly easy for developers to turn their labors of love into viable businesses. Developers using Buildbox complete their games within 2-3 weeks, with many developers creating working prototypes of their game in as little as a day. They then integrate Heyzap’s mediation SDK with just a few clicks, gaining access to a comprehensive ads monetization platform that automatically optimizes revenue generation across ad networks and countries. As the only mediation provider supported by Buildbox, Heyzap’s intuitive interface and simple integration perfectly complements Buildbox’s no-stress approach to making games. Some of the biggest casual games (Color Switch, Ball Jump, The Line Zen) rely on both Buildbox and Heyzap to craft beautiful games, with high-powered monetization strategies to match. With the recent rise of casual games in mobile, we couldn’t help but wonder – what’s behind their success? 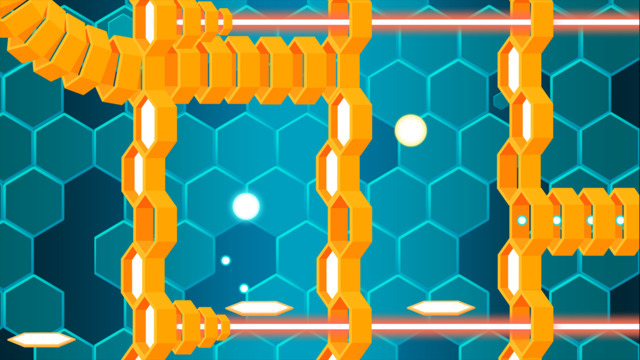 We caught up with Fabrizio Michels of Hexavoid and Chris Goodman of A.P.E.X., who created their games using Buildbox and monetize with Heyzap Mediation. “The biggest challenge to creating a great casual game is making it enjoyable from the first 5 seconds. The game needs to be both simple and challenging, while delivering a fun, addictive experience on the first try. 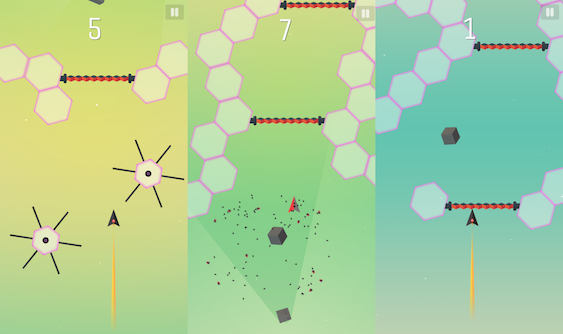 “I designed every level of Hexavoid, but I didn’t have the last word after testing. When you work on something for months, you fall in love with some of the things you created, and it becomes tough to view your game with a critical and objective eye. I created one enemy in Hexavoid that would appear randomly on the screen, leaving a small margin of error. I absolutely loved this character, but every person who tested this build complained about it, so I eventually ended up taking it out completely. I send finished levels to a group of friends to test before the entire game is done, so I can get feedback before the core of the game is finished. Chris Goodman of Sublime Studios, creator of A.P.E.X. Buildbox is a powerful drag and drop game builder that allows anyone to easily make their own game without prior coding or programming knowledge. All the tools you need to create a professional looking game is inside the software, from the intuitive creator tool and multiple worlds feature to the advanced component and control system. Heyzap Mediation gives thousands of developers the power to dynamically test mobile ad networks against each other, and automatically deploys different networks to maximize revenue. It’s free to use, and loaded with features like segmentation, detailed reporting dashboards, native ads, and more. We value transparency, so you’ll always have full access to all the data behind the decisions made by our mediation engine.